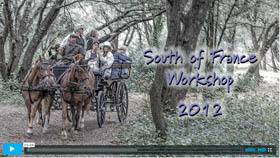 Participants comment on the 2013 workshop, along with video of lessons, individual instruction, cooking demonstration and outings to the countryside, Uzes and Arles. 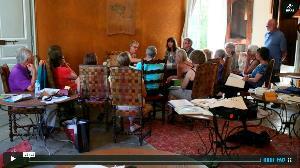 Dory speaks about her approach to art and journaling and shows highlights of day trips to Avignon, Arles, Uzes and the nearby countryside. 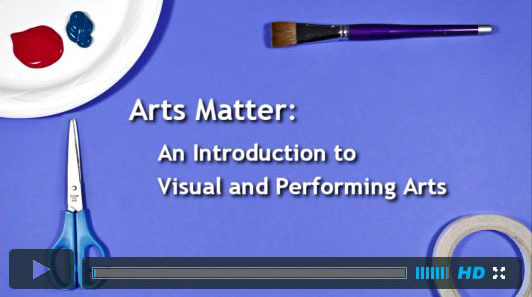 In six instructional videos, Dory teaches projects in the new secondary school arts curriculum she helped develop. 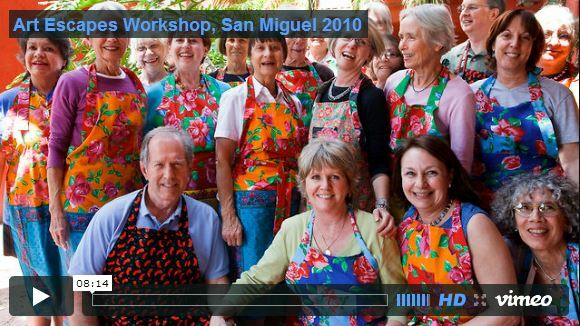 See highlights of the 2010 workshop in San Miguel, Mexico, and an introduction to Dory's color triads. 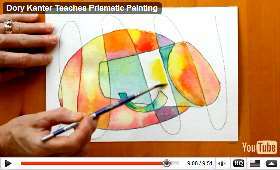 Dory teaches prismatic painting, a project from Art Escapes. It's fun, it's simple and it takes only a few minutes. 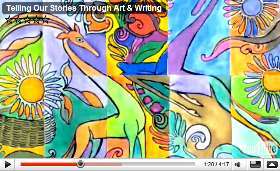 Portland ESL high school students tell their life stories in words and art as participants in an innovative curriculum developed by Dory.